3/8" Electrical Conduit Connector: 90° into the box. 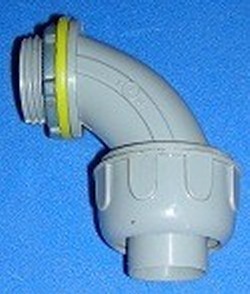 For use with UL "liquid tight" conduit. UL approved.